Preview Day, visit the VIP site. 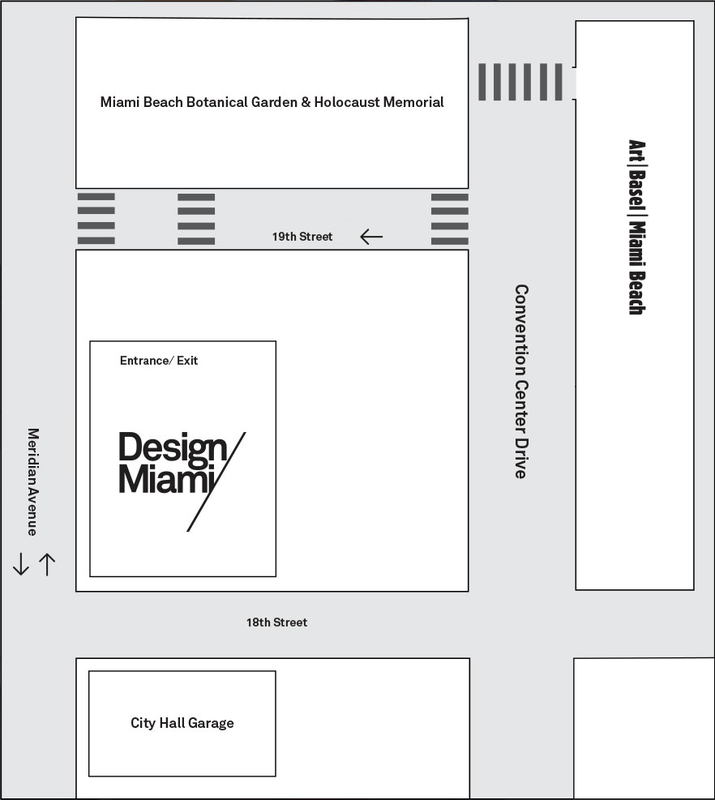 Design Miami/ is adjacent to the Miami Beach Convention Center, a short walk from Art Basel in Miami Beach. If you are taking an Uber or Lyft to the fair, the drop off and pick up location is on the corner of 19th Street and Meridian Ave. Nearby parking is available at the city parking garage at 1755 Meridian Ave.
For more parking, please visit the City of Miami Beach Parking by clicking here.